Some things just go perfectly together: peanut butter and jelly…peas and carrots…Lennon and McCartney. Here’s one more that any sports fan can agree on: football and food! Cheering for your favorite team – whether it’s college or pro – requires a lot of energy. That means that a steady supply of food and adult beverages is necessary. We’re huge…I mean HUGE…Houston Texans fans! 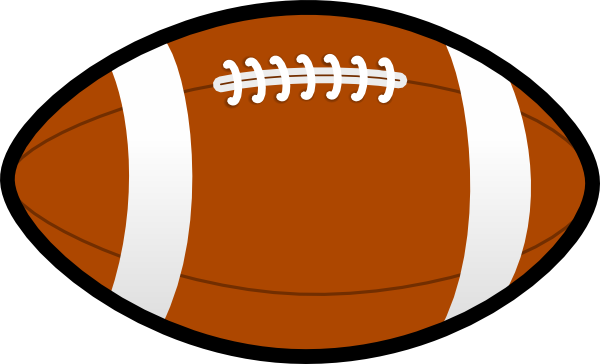 We tune into every game while proudly wearing our team colors…and we love to enjoy some tasty food and beverages while we cheer them on! As much as I love to cook, I don’t want to miss one single play of the game. So…I’ve come up with some great stress-reducing tips that let me provide gameday food without spending the entire game in the kitchen. Over the next few months, I’m teaming up with some great partners to share my gameday party prep tips with you. The first no-stress gameday party tip that I want to share with you is: Rely on a few carefully selected store-bought and convenience items to save time. This simple strategy will allow you to make 1-2 appetizers that take center stage! For a recent Texans game, I served the following items: a store-bought veggie tray, chips and ranch dip made with sour cream and a packet of dip mix, tortilla chips and salsa, and store-bought hummus and pita chips (for the vegetarians!). One of the other guests brought a crockpot of queso, and we set up a fabulous chips-and-dips display for everyone to enjoy. That took all of 30 minutes to arrange just prior to kickoff, leaving me with a pocket of time to whip up a hearty hot appetizer featuring Kiolbassa Jalapeno & Cheddar sausage. 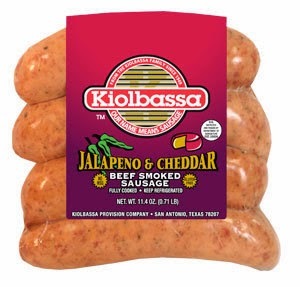 Kiolbassa is a sausage company that's based right here in San Antonio, and they recently provided me with some of their delicious smoky sausage to feature as part of our indoor tailgating party! The Jalapeno & Cheddar sausage is flavorful and juicy, with a nice spicy kick from the jalapeno. Add in pockets of melted cheese, and you've got a winner of a sausage! I wanted to create an appetizer that was easy to make on the busiest of game days and packed a lot of flavor into each bite. The morning of the game, I whipped up the creamy filling for my Creamy Jalapeno-Cheese Sausage Crescent Cups. They contain only a few simple ingredients, but they have a ton of flavor! A creamy filling made with chive cream cheese, cheddar, diced cooked Kiolbassa Jalapeno-Cheddar Sausage, pico de gallo and sliced green onions is spooned into cups made from Pillsbury Place and Bake Crescent rounds. I push down the middles to make little cups and spoon the creamy mixture inside the wells. Top with a slice of the sausage and parm cheese, then bake. I make the filling the morning of the game, so filling and baking takes about 15 minutes just prior to kickoff. Step 1: Preheat oven to 375. Cook the diced sausage in the olive oil and cook until browned. While the sausage is cooking, add the following ingredients in a bowl: the cream cheese, co-jack cheese, pico de gallo, Cajun seasoning and green onions. When the sausage is cooked, drain well and add to the bowl. Using a sturdy spoon, thoroughly combine all of the ingredients. Step 2: Place the crescent rounds on a rimmed baking sheet lined with parchment. Press the centers down and pinch the sides to create cups with deep wells. Spoon one heaping spoonful of the cheese-sausage mixture into each wells. [NOTE: The crescent will bake around the filling, so it's ok to mound it on top.] Sprinkle each filled cup with parmesan and more of the Cajun seasoning, then top each with a slice of the sausage. Step 3: Bake for 15-20 minutes, until the crescents are golden-brown and the filling is melted and bubbly. For even baking, turn the pan around halfway through baking. Let cool for a few minutes before transferring to a serving plate – the filling is hot like lava, and you don’t want your fellow football fans to burn their mouth! These hearty little crescent cups are so good! The filling is super creamy and cheesy…and the pico de gallo and jalapeno in the Kiolbassa sausage provide a nice spicy kick. These little crescent cups are definitely dude-approved…hearty and filling. When I made these, everyone snapped them up in no time. Serving a variety of easy-to-make dips allowed me focus my time and attention on this all-star finger food. 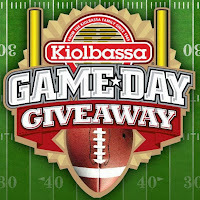 My friends at Kiolbassa are having a great contest for a Game Day Giveaway via Facebook. Simply enter to win weekly prizes...or maybe even all the goodies to have a game day tailgating party of your own! 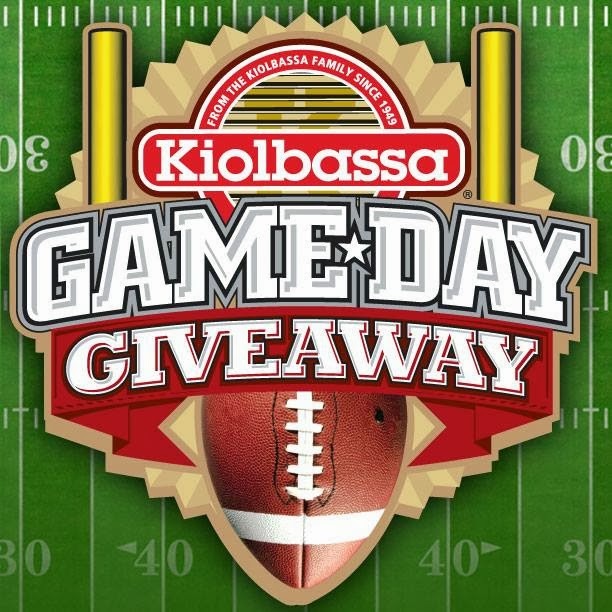 You can also enter by using the hashtag #KiolbassaGameday on Instagram or Twitter. Disclosure: Kiolbassa provided me with a variety of their sausage products to facilitate this feature. I received no further compensation, and all opinions are my own.